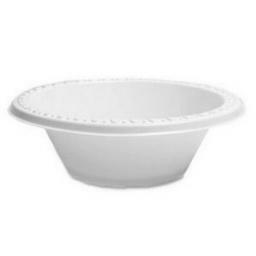 The Mozaik Silver Rim Serving Bowl has a classic yet simple design suitable for a variety of situations. A sophisticated silver lining makes the item perfect for all occasions from dinner parties and wedding receptions to barbeques and picnics. The style of the piece masks its material makeup, with guests unlikely to realise it as being made from anything other than glass.